RUSH: Here’s Barbara, Pine Bluff, Arkansas. Glad you waited. Welcome to the EIB Network. Hello. RUSH: Oh, they know. They know. They have to go through the insurance company. They know it. CALLER: But a doctor can’t just charge what he wants to. The insurance company gives patients this huge discount and they also say if you can get paid for surgery or not. 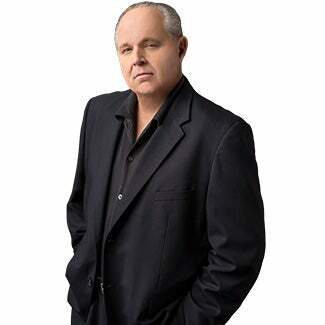 RUSH: That’s why a bunch of doctors are dropping out of the Obama networks. CALLER: Exactly. But President Trump — I’m a Trumpette, I’m a big Trump supporter — he stated that premiums to repeal and replace the Obamacare plan would go down 60 to 70%. And in doing my math, in my experience, the only way that can happen is if the insurance companies are going to take the decreased payments to the hospital and doctors. And if that’s the reality, why would any young person — we have a child who went to medical school and my husband’s a doctor — want to go to medical school, do the post-graduate training for at least eight years, and that’s after undergraduate, and accumulate $350,000 to 500,000 of student loan debt? Why would anyone want to do that? RUSH: When Trump was just earlier this week, when he had the Republican senators up for a lunch to sell them on the health care bill in the Senate, and he mentioned that premiums could go down 50 to 60%. It would result from competition for premiums. His point was that the insurance companies, because of competition, would necessarily have to lower prices for premiums. RUSH: Not if they’re not bailed out. CALLER: Well, bailed out, but they would stick it to the doctors. Over the years I worked for my husband, I saw his reimbursement rate actually decrease. RUSH: Why did your husband just form his own private practice, go out and get some clients to give him like a $5,000 retainer every year and treat ’em private and not even mess with this? CALLER: Okay, did you hear where I’m from? I mean, you saw where I’m from. CALLER: I’m from rural Arkansas. CALLER: We are very poor here. I mean, this is very poor country. RUSH: How far is Pine Bluff from Hope? CALLER: From Hope? It’s about an hour and 45 minutes. RUSH: May as well be an eternity then. CALLER: Right. So, yeah. But my point is, why would, you know, medical school’s already out of reach. If it gets further out of reach, the quality of your students is going to go down considerably. And then it won’t matter if you have health care. RUSH: Given your experiences here and the insurance companies shorting doctors and making it kind of not economically feasible to become a doctor, what would your solution be? RUSH: — in for hangnail, you pay for it. CALLER: Right. And my husband, in his practice, because they have this Obamacare, they go to the emergency room for a hangnail. I am not exaggerating. CALLER: And they take an ambulance to get there. RUSH: That’s advertised in southern California, how to get to the ER free and how to not spend anything when you get there. CALLER: Right, and they actually do it as a hobby. They want the snack pack that the emergency room gives out and they want some snack packs to go home. RUSH: Do you like the concept of health savings accounts? RUSH: Do you know what I learned about them this week that I didn’t know? RUSH: I need to double-check this, but I was told that a person may not spend any of their money in the health savings account to buy insurance. CALLER: I do not know that. RUSH: Well, I have to double-check it. CALLER: That’s probable true. That probably is true. We don’t use that for that, but ours doesn’t expire. We can add so much to it (crosstalk). RUSH: This is the point. If we’re gonna have a health savings account… The whole point of health savings accounts is to put people in charge of what they’re spending on health care and insurance, and it’s designed to be a measure to reintroduce competition to the marketplace. The health savings account is funded by tax credits and so forth, and it’s averaged on what people spend average in a year on health care. They’re given that. That’s put in an HSA. They can only spend it on certain things. I think I’m right; I think you can’t purchase insurance with it. You can only use it for actual medical care. Well, that kind of defeats the purpose of reintroducing competition in the insurance markets — which, believe me, the insurance companies don’t want. That’s why the insurance companies do not want the prohibition of being able to sell across state lines eliminated. They love the monopolies that policy creates even within the states. Look, every conversation I have on this with a medical professional — or the wife of one in this case — if you listen carefully, it is inarguable that all of these problems are the result of government involvement and government policy, government restrictions, government favoritism here. Obamacare was a bailout for insurance companies because eventually they were gonna go away. As Obamacare imploded, we go to single payer; that destroys the private health insurance market. So Obama, to get their support early on, gave ’em this mandate that everybody has to buy health insurance. How could you lose money if you have a service or a product and the federal government makes it a matter of law that every citizen has to buy it? How do you lose money? And they still manage to. What if there was a law that every American had to listen to this program and had to patronize at least one sponsor? We couldn’t lose! You’d say, “That would never happen.” Yes, it did. In the world of health insurance, it damn well did happen. And John Roberts made sure it remained, by the way, in the first Supreme Court review of Obamacare.